Gorgeous George Harrison (by far the coolest Beatle) sang “Isn’t it a Pity” and last night, when I was lucky enough to catch a special screening of Martin Scorsese’s beautiful documentary, George Harrison: Living in the Material World, I caught myself thinking, “isn’t it a pity that boys don’t dress like they did in the late 60s anymore”…. Being the third time I’d seen the film, I pushed the emotional side of it slightly to one side and really honed in on the fashion. It struck me that while we ladies still have all the wild prints and colours at our disposal, the men have surely been short changed. Nowadays, going wild involves a pair of mustard jeans. Back then, in groovier times, the sky was the limit for the guys with clashing prints, embroidered waistcoats, beads, kaftans and funkier trousers (see below) than I’ve ever had the pleasure of wearing. 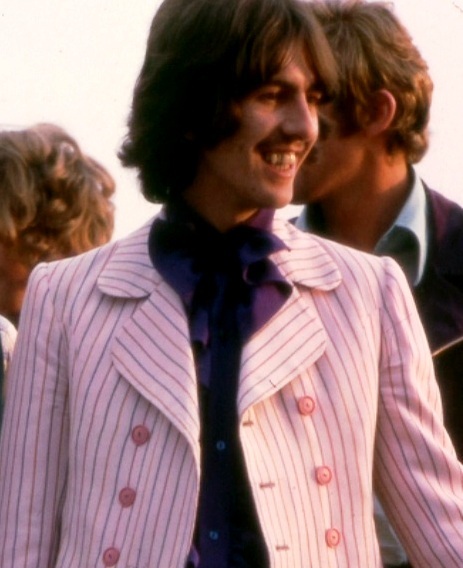 Nowadays, male fashion is sooooo dull compared to the floral shirts, psychedelic prints and flamboyant collars George was rocking around in. And, ever a fashion guru, George continued to plump for bright colours and patterns (he clearly loved a mad jacket) well into his 30s, 40s and 50s. I know not all men were chipping about in clothes as brave as Mr. Harrison at the time, but at least some were. 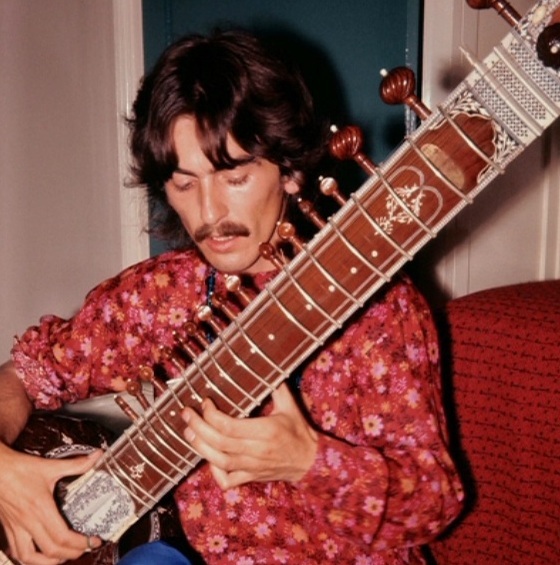 And just like his love of guitars, fast cars, huge eccentric houses and gardens, George’s sartorial adventures were probably more an expression of his personality and creativity than evidence of his materialism. 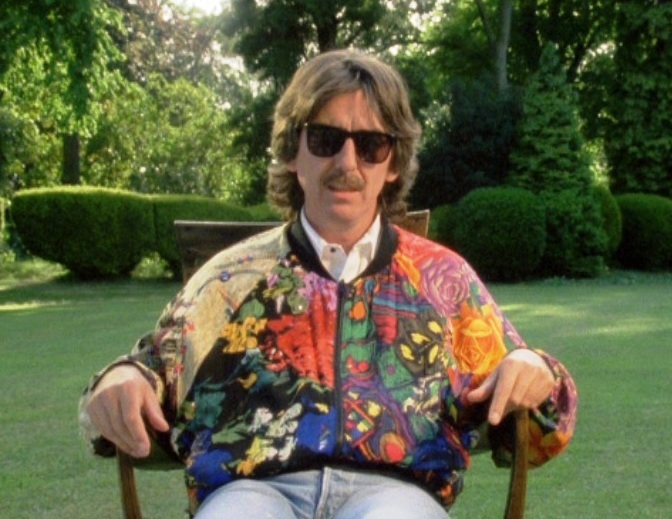 I loved George – always my favourite Beatle. My hubby also bemoans the lack of colour and oomph in men’s clothing but likes the idea of a red and khaki combo, which you featured here a week or so ago. Khaki and red is deffo the way forward for blokes this spring! 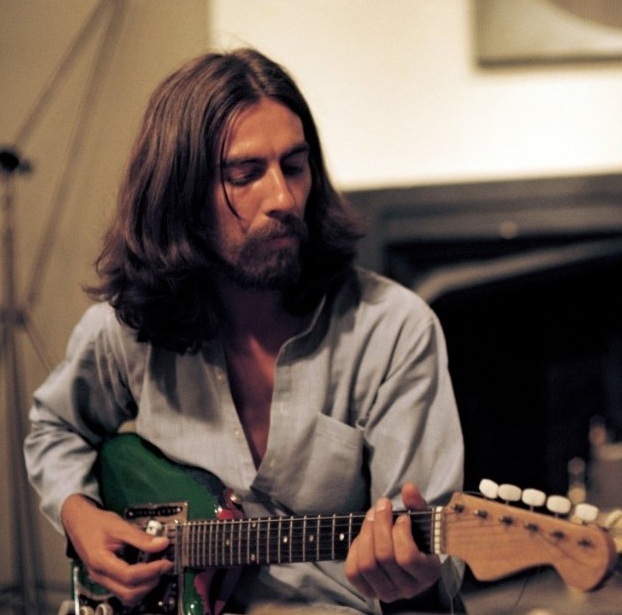 Can anyone tell me what type of shirt George is wearing in the last picture (the one in a blue shirt with a red t-shirt)? It has been bugging me that I can’t think of the name. Thanks!! 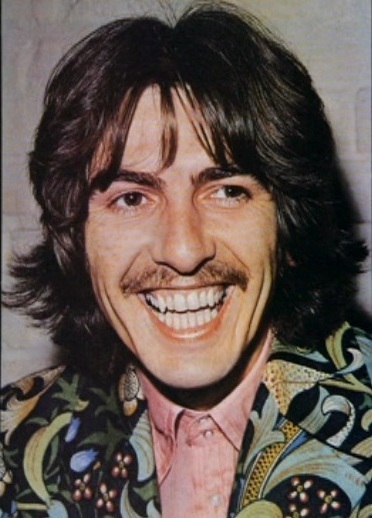 And George would have been 70 this coming Monday (2/25/13) — Loved and missed forever — and such a groovy fashion cat! 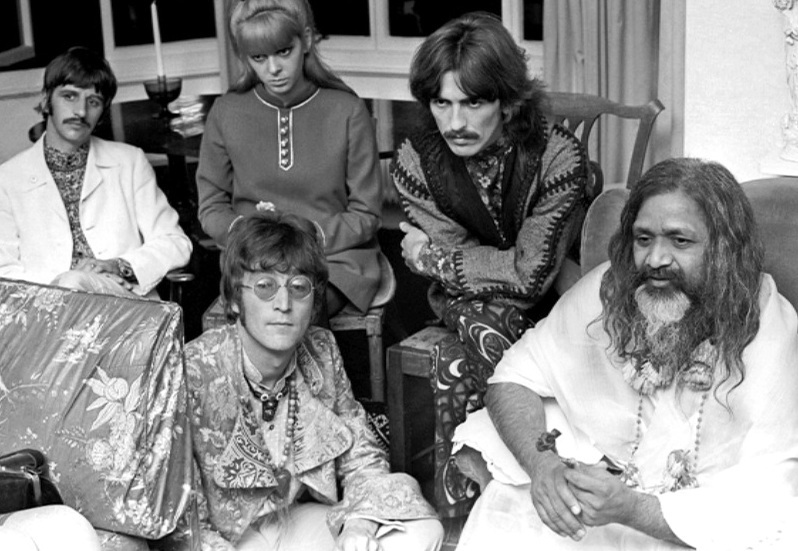 One item I love of his was a magnificet button down Fair Isley Andeany Stranded Cardigan sweater he wore to the taping of Saturday Night Live, and of course, all his Beatle gear (he really rocked black turtlenecks) and his Chuck Taylor sneakers. Pure class. 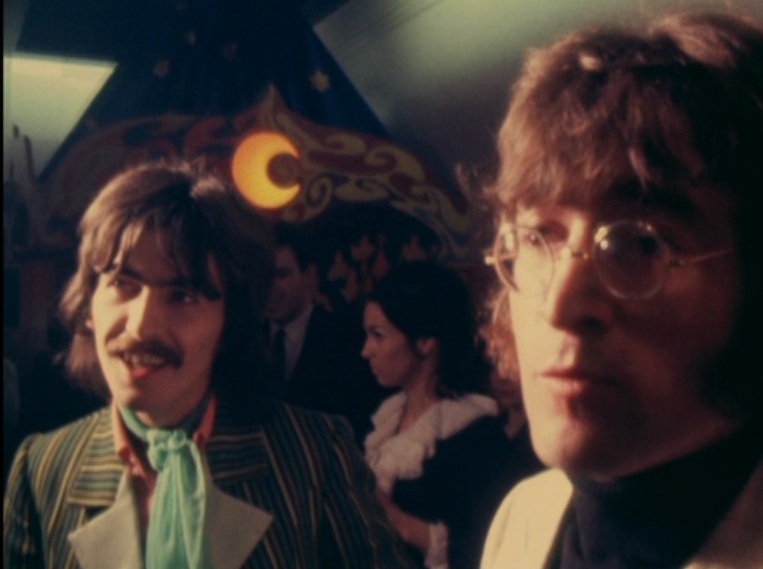 Be sure to check out the his cameo on the Smothers Brothers in 1968 too! Thanks for this great post too!